« Facebook engagement: What does the evidence show? Target audience: Nonprofits, cause organizations, foundations, NGOs, fundraisers. I‘ve seen my share of fundraising campaigns over the years, but one of the most impressive has to be the campaign put on by Brianna Haag and her team of volunteers for the Leukemia & Lymphoma Society. The nonprofit’s fundraising competition, which started 22 years ago and now exists in 73 chapters of the organization nationwide, generated some great events at the local level this year. Coming out on top was Slap Cancer, a 10-week series of events in the San Francisco Bay Area that raised $207,000 for blood cancer research and garnered Brianna honors as the Society’s Woman of the Year. Brianna shared her thoughts on how other organizations can use social media and event planning to hit their fundraising goals in this 6-minute video interview on Vimeo. Not only did Brianna’s Slap Cancer campaign take the winning title, it actually set a new local record for most funds raised. It’s also the first year in a long time that the female winner raised more than the male winner. One of the Bay Area events, Mr. Marina, went viral thanks to social media and the buzz that was generated in the young professionals community. Brianna, who’s the San Francisco event evangelist for Eventbrite, points out the power of an online ticketing agency like Eventbrite to generate and track ticket sales to the real-world events taking place over the course of the campaign. 1Use social media to spread the word and spread out your donor pool! The more people who find out about your event, the better. Eventbrite has found that shares on Facebook are worth an average of $2.52 each, which means there’s a huge value in people sharing events with their networks. Take advantage of that! 2Monitor your ticket sales regularly. The most successful fundraisers are those who log in daily to monitor ticket sales. That way, if things aren’t going according to plan, figure out a plan B. Pinpoint what isn’t working as early on as possible so you can adapt. 3Get as many people as you can to have a vested interest in the success of your event, because those are the people who will help you spread the word. 4The majority of ticket sales occur in the week leading up to the event, which is stressful. Try to promote early ticket purchases by offering early-bird prices and offer discount codes to people whom you’d like to target with special pricing. 5Set a plan and work backward with your goals. Set a total that you want to raise and then benchmarks of how you’re going to get there. How many tickets do you need to sell to reach your goals? How can you track progress to ensure that you’re on pace leading up to the event? 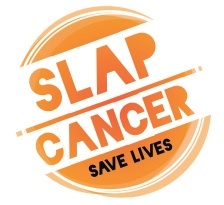 Brianna and the Slap Cancer volunteers did everything from taking over AT&T Park to hosting a fantasy batting practice with the San Francisco Giants’ J.T. Snow to a Mr. Marina event at the Mezzanine nightclub with 1,000 people. Impressive all the way around — and a good use of social media to drive attendance at real-world events, which we always point to as a campaign’s ultimate success. • Fundraising articles on SocialbriteJD Lasica, founder and former editor of Socialbrite, is co-founder of Cruiseable. Contact JD or follow him on Twitter or Google Plus. I admired people with a Cause and people who used their knowledge for the Cause. Collaboration,teamwork and creativity really matters to create a successful campaign program.